Hey, it's your friendly Creeps at Haunted Basement!!! We just closed our annual horror event Halloween night, but the fun is just getting started!!! Our team at Haunted Basement is embarking on our first GiveMN fundraising campaign, and we're aiming to fix up our space! To fully realize our mission of being radically inclusive, we need to make a number of ADA improvements to our beloved basement. These improvements mean we can serve more of our community, and provide a better home for all our delicious horrors. So, we're focusing our efforts on raising money to get those started. The Haunted Basement is a 501(c)(3) organization. 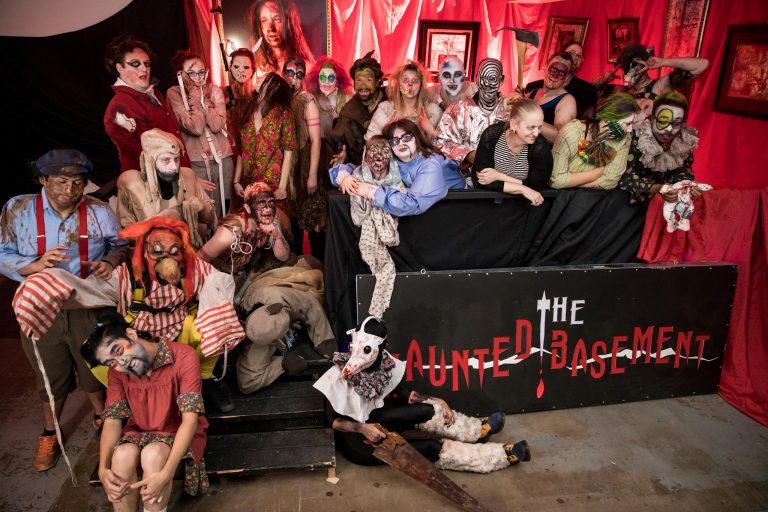 The Haunted Basement is a nonprofit arts organization which promotes a culture of radical inclusion and expression thanks to our volunteers and donors.